Who we are: A non-profit, apolitical charity and developmental organisation, the Foundation's head office is located in Kumbo town, Cameroon. We are a registered charity in Cameroon,Canada and HongKong. 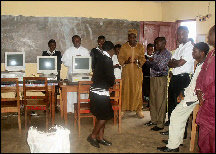 We provide facilities and training for rural communities in Cameroon. Our mission is to bring computer literacy to our population by creating computer centres in each major town within the North West Province of Cameroon. We started operations in 2004 with a pilot centre in Kumbo town. project, we acquired 6 more computers for this centre. to assist many schools and individuals to acquire computers. schools in the Republic of Niger. 320 in 2006 in our five centres. Word and Excel. About 69 women attended. With the creation of Tatum region as a subdivision, we consider that there is a pressing need to create a computer literacy and internet centre to serve this marginalised community. (a) A Computer laboratory equipped with 10 computers and printers for Computer Training in computer use, mainly Secretariat Duties and Accounting. (b)We want to also set up Computer laboratory equipped with 10 computers for Internet training, international telephone and surfing services. (c)We want to set up a room to serve as a womens meeting centre. This will be used for seminars or training on different aspects such as agriculture or HIV/AIDS. (e)Develop e-commerce in relationship to agricultural products to benefit the local community. I.Reduce the computer illiteracy rate in Tatum region. II. Provide further training programmes for the rural population. The main target is women in Tatum. We want to develop their personal skills and talents and, consequently, open them to wider employment opportunities. 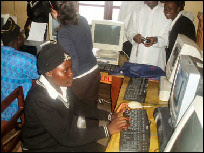 III.Train women to use different Information and Communication Technology tools, especially internet. This will provide access to their peers worldwide. It will also increase their access to agricultural information and markets. 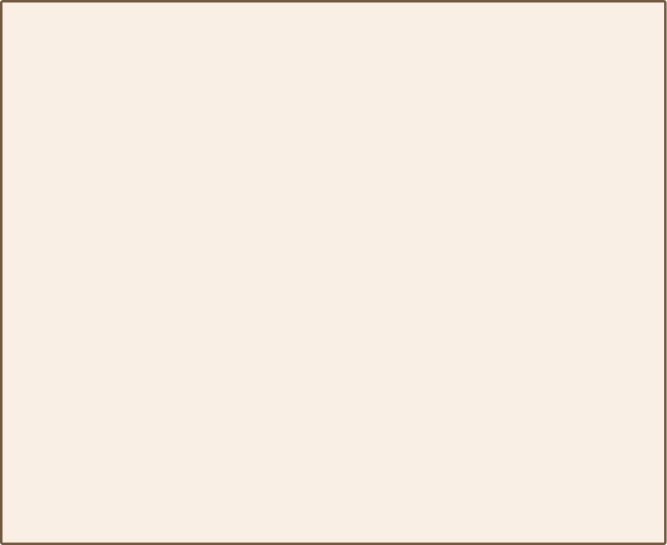 IV.Reduce poverty by increasing employment. V. Protect the environment by reducing computer dumping; by prolonging computer life and by recycling parts. 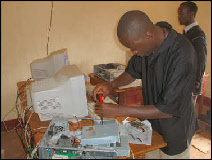 VI Train the unemployed by providing low price or free refurbished computers to the needy, schools and welfare service organisations; by providing training programs which will enhance the individual's skills and qualifications. A keen student at an early class.